I have wanted a Murano Glass chandelier for as long as I can remember. The exquisite skill required to blow these chandeliers is mind-boggling and their beauty is simply unmatched. In fact, I had a ‘saved search’ on eBay for the longest time, hoping that someone somewhere might be getting rid of one that wasn’t astronomically expensive. That didn’t work out too well for me as you can imagine. 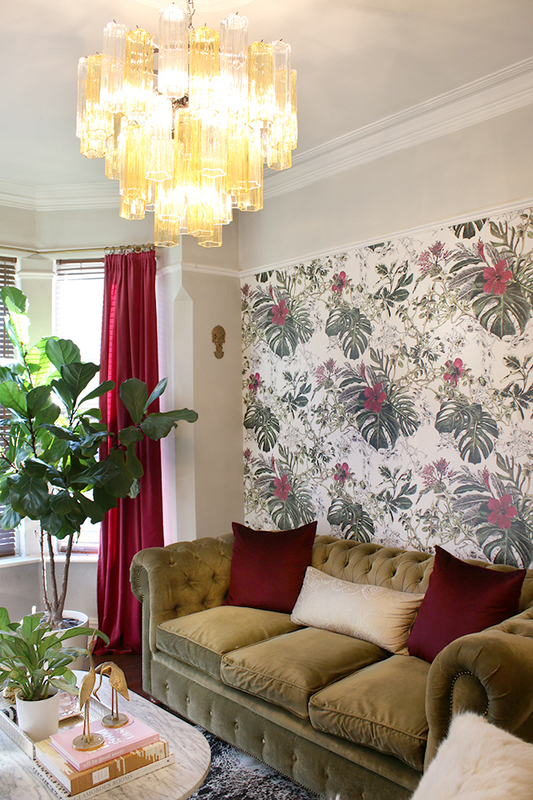 These chandeliers are the height of sophistication and skill – they are not what you’d describe as ‘cheap and cheerful’. These are splurge items, the kind that takes your room to the next level. My wish for one remained, however, and I thought perhaps someday I will own one. So when a Venice-based company who manufacturers these authentic chandeliers at much more reasonable prices got in touch to see if I’d like to try one for myself, while I responded via email in a perfectly professional manner, there may have also been some fist-pumps, dancing around the room and a hope they couldn’t see the very unprofessional whooping going on. *smooths down skirt and hair* Ahem. Sogni Di Cristallo, based in Venice, Italy was started by two guys fresh out of university in 2010. 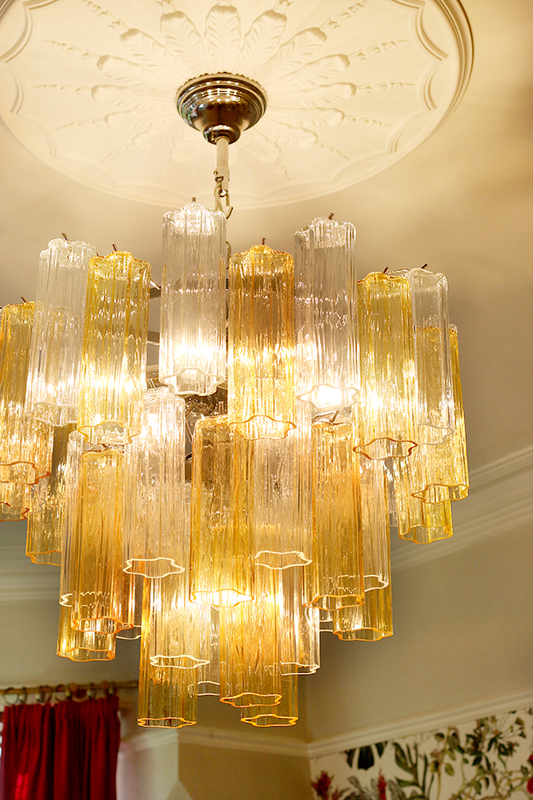 Since then, they’ve been working tirelessly to create these chandeliers using age-old traditional glass-blowing techniques passed down from generation to generation to allow people from all over the world to buy directly from the makers at the click of a button. This means they’re able to cut out the middle-man to keep prices down – making owning one of these more affordable than ever. I can’t even begin to express how beautiful this chandelier is and how much it adds to my living room. The amber and transparent pieces glisten and glow in tandem and while it’s oversized, the quiet transparency of the glass when off means it doesn’t look heavy or bulky in the smaller space. Of course, it’s the evening when this light comes to life. I tried my best to capture its gorgeousness but be assured it looks even better in person. We have it on a dimmer switch and it floods the room with the light on the highest setting. However, using a dimmer means we can adjust the brightness and my favourite is when it’s turned down lower, the patterned glass producing a stunning melody of light, shimmer and shadows. Installation was straight-forward. Wayne is experienced by now in fitting electrical fixtures but if you are considering one, I’d recommend using a professional electrician if you have any doubts at all. There were no instructions sent with the packaging so Wayne had to slightly dismantle it to see which wire was the earth. Because the entire piece is adjustable, it was a very quick and easy process of loosening a couple bolts and then reassembling the piece. The height is also fully adjustable at multiple points which means you can have it longer or shorter depending on the height of your ceiling. I also decided to swap out the ceiling rose for one more befitting such a grand piece. 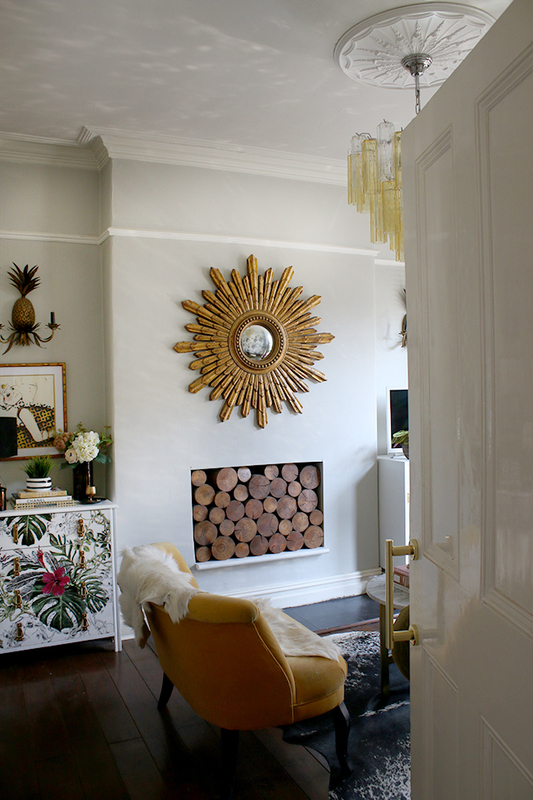 When it comes to adding features like a ceiling rose, I have learned from experience that bigger is always better. The previous ceiling rose was a mere 35cm in diameter which seems large when you have it at eye-level but once you are looking at it from below, it looked tiny and ridiculous in the space. 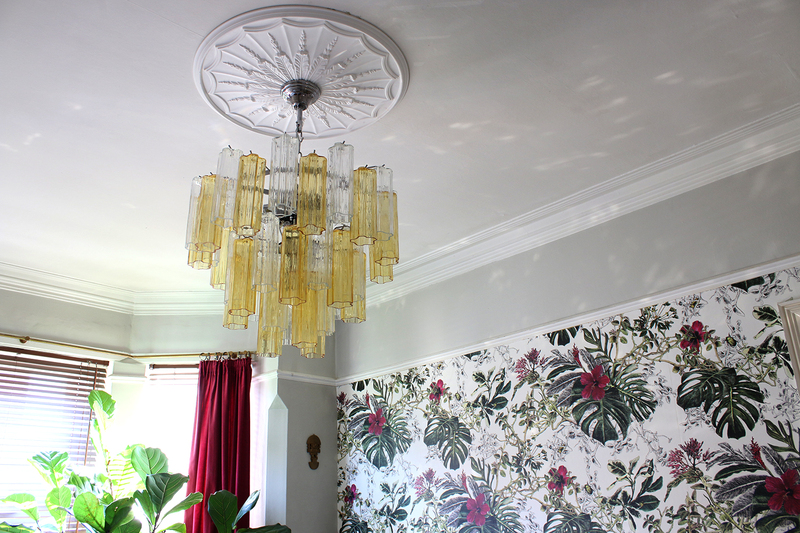 I upgraded to a 68.5 cm diameter ceiling rose in an Edwardian design (keeping with the age of my property) and I’m in love with the look. 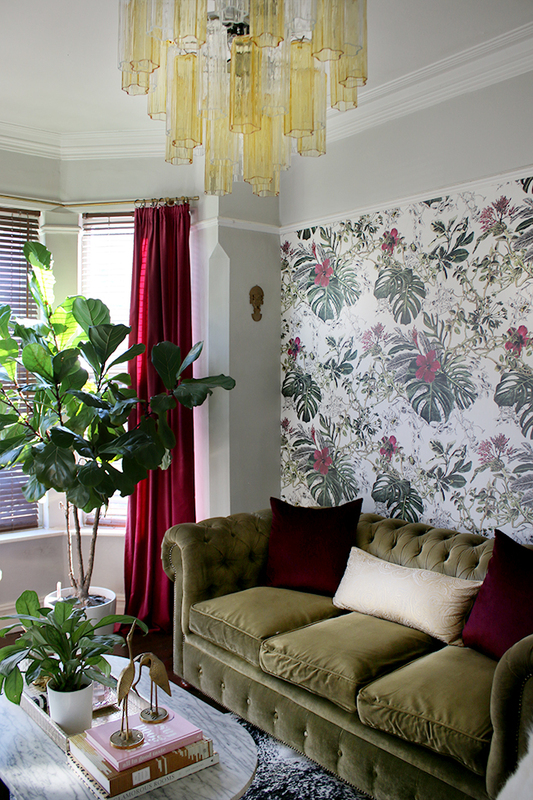 It adds so much grandeur to the room now and is much more fitting in the space. So when in doubt, always go bigger! I wanted to share a video of how Sogni Di Cristallo create their pieces because it is truly mesmerising and beautiful. There is such incredible craftsmanship that goes into each of their designs and this is what you are paying for. Remember in this post how I talked about those items that are worth spending a little more on? A Murano glass chandelier will certainly fall into that category. It is something that I have no doubt I’ll keep for a very very long time because it’s not only beautiful, it represents a craftsmanship that Sogni Di Cristallo has honoured and something that makes the entire space a little more special. The Crono chandelier is just one of many of the beautiful Murano glass chandeliers they create and they can create bespoke items as well. Everything is manufactured upon order so while I had to wait a few weeks for delivery, it was absolutely worth it. 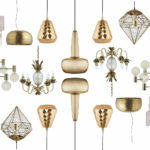 Wall lights start at less than €200 and you can get your hands on an exquisite chandelier for as little as €580. 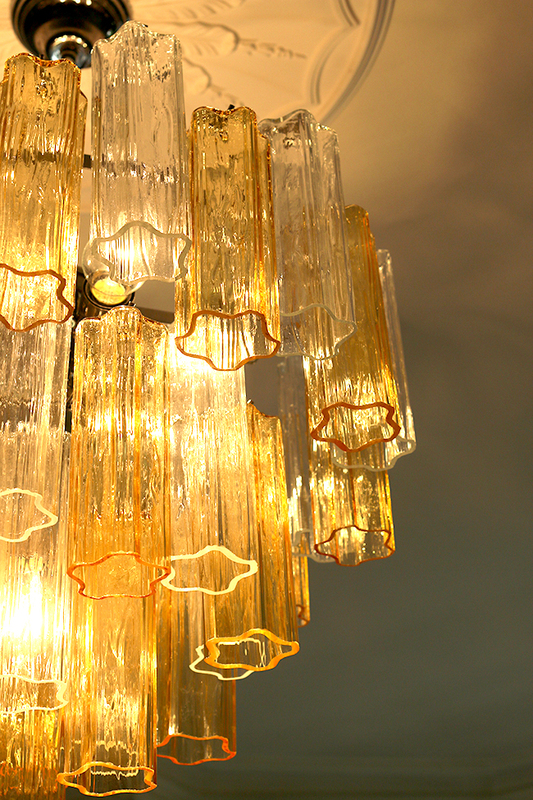 Is a Murano Glass Chandelier on your wish list as well? 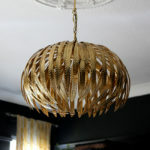 What do you think of this gorgeous light fixture? I’d love to know what you think! PS. Check out the Cronos in pink. I die. 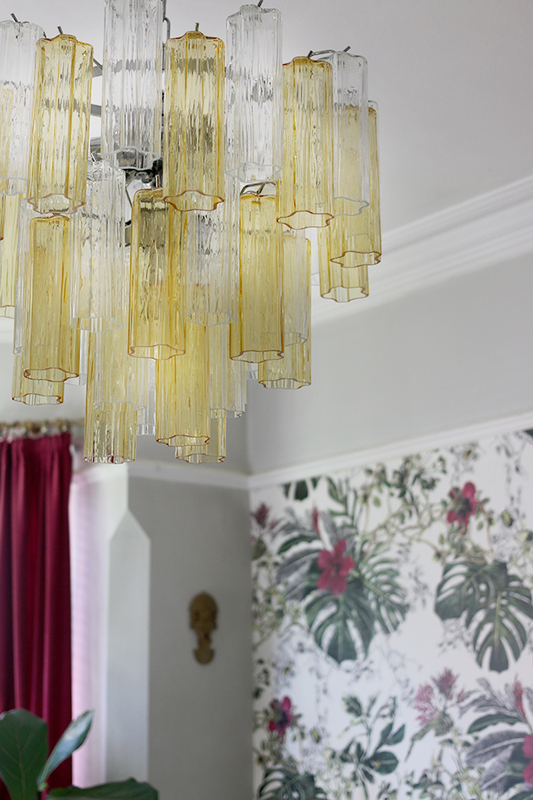 Disclaimer: I was offered the chandelier from Sogni Di Cristallo free for my review but I was not paid for this post and as always, all images, opinions and words are my own. I only work with companies I really like and think you will like too! Thanks for supporting the brands that support Swoon Worthy! So pretty. It really fits in beautifully in your room. Absolutely beautiful!! I’ve had the privilege to see Murano glass being created in Venice… the skilled craftsmen are amazing to watch! Congrats! 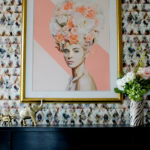 It looks stunning in your home! Stunning! And yes Murano glass is in my list. Wow that is beyond stunning! Really compliments your sitting room. Gorgeous! Watched some of the videos, they were mesmerizing. 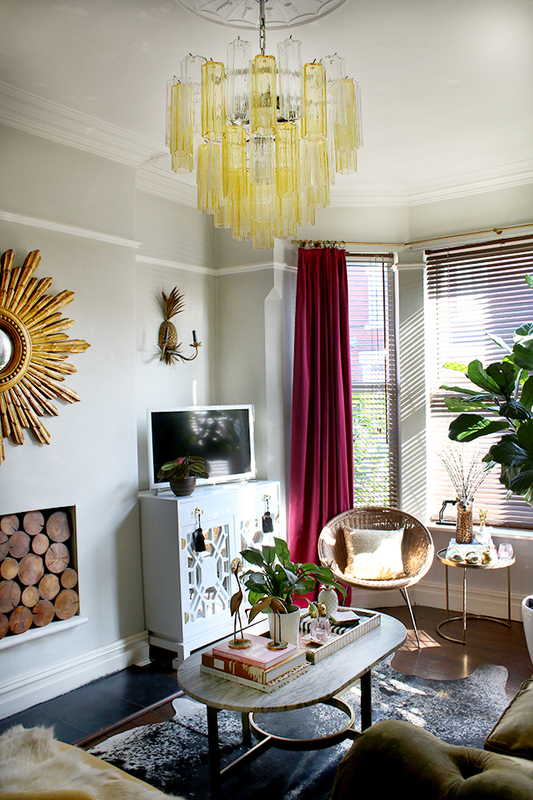 It looks stunning, and I think you were right to swap out the ceiling rose. With such a large piece a small rose would look lost. Looks great all round ! 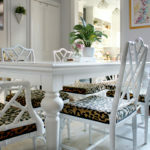 The black glass chandelier in my entry (https://gustoandgrace.wordpress.com/home-tour-2/) is from Sogni Di Cristallo. I hunted EVERYWHERE for a black glass chandelier I loved without success and then ordered it “custom.” I had a few complaints regarding delayed delivery, not knowing I was going to have to wire and assemble it myself, and coming more like a semi flush mount, but it has been hanging for a few years now and I love it just as much as the day I finally got it up. I would definitely order again.